At Auburn Engineering, we put students first. Our comprehensive academic support services demonstrate the college’s commitment to educating well-rounded engineers capable of addressing next-generation engineering challenges. From highly engaged academic advisors to attentive faculty members, Auburn engineers have an expansive network of professionals to support and assist them in their academic pursuits. Auburn also utilizes successful peer advising and peer mentoring programs to achieve an unparalleled student-centered experience in engineering education. Auburn Engineering has expanded its individual and group tutoring services significantly to cover more than 55 subjects in math, science and high-demand engineering courses. The innovative Coordinated Academic Support for Engineers program also provides supplemental classroom resources so students can master difficult engineering concepts. The Academic Excellence Program supports engineering students from pre-college through graduation by focusing on expanding academic preparation, professional readiness and exploration of career paths. It achieves this through a wide range of programs, including learning communities, professional development workshops, peer learning sessions and similar programs. The force to recruit, retain and reward Auburn women in engineering, 100+ Women Strong offers comprehensive programming to encourage young women to pursue engineering and support them along the way. Successful alumni and friends of the college devote their time to counseling young women in engineering through individual mentoring, professional development presentations, networking events and similar programs. Our college provides students with the resources and support they need to stand out in their pursuit of internships, cooperative education opportunities and their long-term employment goals. The college’s efforts in career services are being bolstered with the addition of a new Office of Career Development and Corporate Relations. Student learning goes far beyond the classroom. Auburn Engineering offers a wide array of co-curricular programming that builds on academic instruction and allows students to unlock their full potential as engineers. 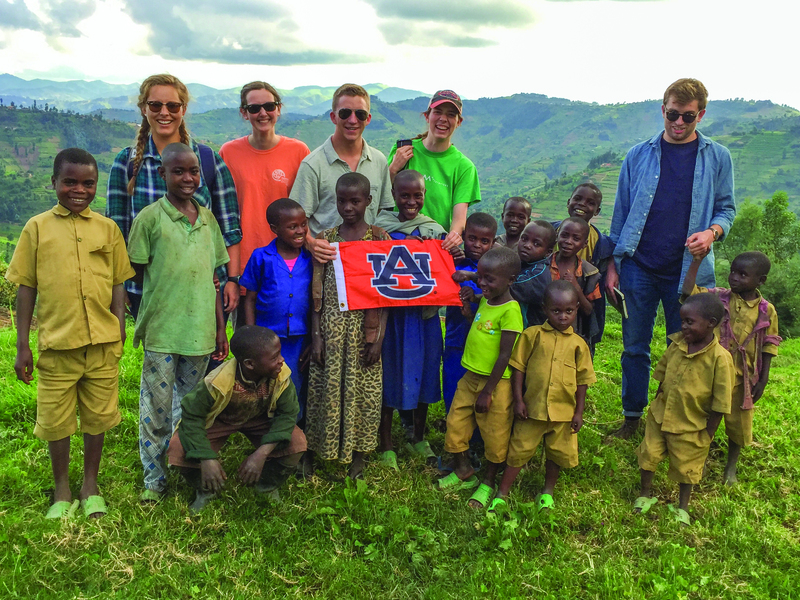 Auburn Engineering offers more than a dozen global programs and study abroad scholarships for students to engage in experiential learning across the world. These include exchange programs with institutions in Australia, Germany, Italy and Taiwan; faculty-led programs in China, Germany, Italy and Spain; and service-learning programs through Engineers Without Borders in Rwanda and Bolivia. Students also have the opportunity to experience the world through Auburn’s newly developed global internship program. With dozens of engineering student organizations, every student can find their niche at Auburn. From discipline-specific honor societies to the interdisciplinary Formula SAE race team and the Student Launch rocket-building team, Auburn Engineering students have ample opportunities to get involved outside the classroom, including leadership programs such as the Cupola Engineering Ambassadors and the Engineering Student Council. As a nationally prominent research institution, Auburn provides undergraduates with hands-on opportunities to engage in fundamental and applied research projects with faculty members, postdoctoral researchers and graduate students. Star researchers can even receive a stipend and funds for travel and research through the university’s Undergraduate Research Fellowship program.